The state of unity in diversity, Karnataka has its deep roots in spirituality and divinity. 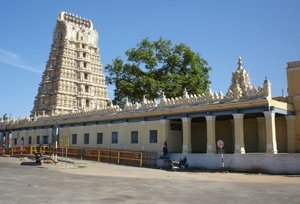 One of the most important pilgrimages centres in India, Karnataka has a large number of Jain temples, Hindu shrines, Buddhist pilgrimages, mosques and Churches. Every town of Karnataka is associated with the mythological background of India. There are more than 34,000 temples in Karnataka, and two of them even list the in UNESCO world heritage sites. This Southwestern state is a land full of legends and tales; there are many shrines in Karnataka that act as evidence of authenticity. Mostly temples in Karnataka were built during the 10th century and are dedicated to Lord Shiv along with Lord Vishnu, Lord Krishna, and Nandi. Visit the heritage destination of Mysore and Somnathpur to see some of the exquisite temples. Also worth visiting are the seven muktistalas of Karnataka- Udupi, Kollur, Subrahmanya, Kumbasi, Kodeshwara, Sankaranarayana, and Gokarna. All these shrines are also known as Parasurama Kshetras as they were build on a land that was claimed from the sea by Parashurama. Seven muktistalas are cradled in the Western Ghats in the coastal region of Karnataka. In Karnataka, one can see diverse temple styles, which were contributed by yesteryear rulers. 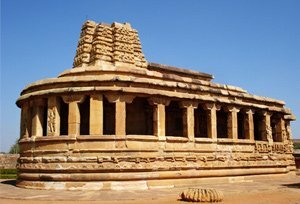 Badami Chalukyas was the builders of rock cut caves and ancient temple complexes and one the finest example of such architecture is the group of temples at Pattadakal. The Hoysalas also gained supremacy in the past. Hoysalas Kingdom temples were made on raised complex star shaped platforms. The best example of Hoysalas Kingdom architecture is Hoysaleswara Temple. The grandest of all the religious monuments in the sacred center is the Vitthala temple. Striking temple with its elaborated mandapas (columned halls) is devoted to Vitthala, an incarnation of Lord Vishnu. Karnataka is indeed a perfect place for spiritual tourism in India as it allows as it allows one to peak in the history and rich Indian culture of India. The state of Karnataka holds a special significance in the history of the Sikh religion. 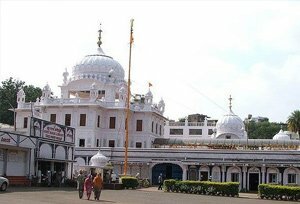 There are many Gurudwara in Karnataka, but one of the most revered is Gurudwara Nanak Jhira. As per the legends, Guru Nanak visited Mardana, where there was a shortage of water and despite villagers efforts water was hard to find. It is believed that Guru Nanak touched a hill and removed some debris over which sweet water gushed out from there. Today, on the side of the fountain is where the Gurudwara Nanak Jhira Sahib stands. All the Gurudwaras in Karnataka are thronged by a large number of devotees during all the festivals. The Gurudwaras in Karnataka are a tourist attraction too, as people from all over the world, belonging to different faiths also visit these Gurudwaras. Mosques in India are just no longer religious places but are they are architectural wonders. Starting from the times of Muhammad Shah to the days of Tipu Sultan, most of the mosques constructed in India exhibit the glory of the yesteryear rulers or creates political influence. Dome, the minaret, and arches are some of the common features that can be noticed in the mosques of Karnataka. 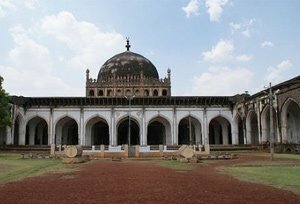 Solah Khamba Mosque in Bidar displays the beautiful art from the past with its 16 finely carved pillars erected right in front of the mosque. Jama Masjid in the Gulbarga is one of the most architectural mosques in its form and structure in South Asia. Mysterious and highly spacious, mosques in India are nothing less than architectural wonders. Karnataka is home to some of the oldest basilicas, chapels and churches in India. As a colonial era state, Karnataka has several historical and architectural churches. Most of the Churches in Karnataka have stood still since Colonia era. Even after so many years of Independence and restoration, these churches have maintained their old rustic charm. Earlier they were the architectural wonders, but now they are the major landmarks, defining the area. 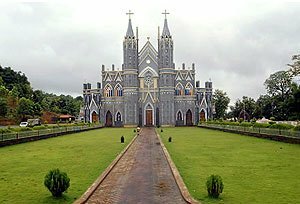 The Churches in Karnataka belong to different Christian communities- Roman Catholic Church, Syrian Church of Kerala, the Mar Thoma Church, Protestants from the Church of South India and newer evangelical groups. Christianity is a major religion that is fervently practiced by the Christians of Karnataka. On a spiritual tour to Karnataka, tourists should visit the colonial churches of Mysore and Bangalore. Both the towns are the throwback to the colonial era and various Scottish churches and Victorian bungalows are scattered across its streets. Whether the tourist is a god lover, history buff or an avid reader; they would love to visit the historical Churches in Karnataka. Karnataka has a long term association with the major historical kingdoms- Western Ganga, Kadamba, Chalukya dynasties and the Hoysala Empire. 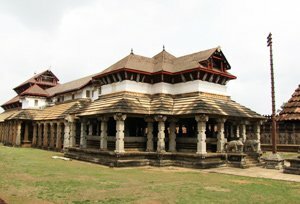 There are many Jain temples in Karnataka and, other than temples; here tourists can see Jain monuments like temples, Gommaṭa statues, and stambhas. After every 12 years, mostly Jain temples in Karnataka spring to life during the Mahamastakabhisheka as the statue of Bahubali is bathed and anointed with milk, saffron paste and dusted with powders of turmeric, and sandalwood. There are five monolithic statues of Bahubali in Karnataka. In all the places below Mahamastakabhisheka takes place after every 12 years. Buddhism is not only thriving in the North India, its impressions can be seen in Karnataka as well. The Tibetan settlements at Mundgod in Uttara Kannada and Bylakuppe in Mysore district looks like mini Tibet as here one can see beautiful multi-coloured beautiful stupas and artistically painted prayer halls. Mundgod is home to 7 monasteries and serves as an excellent center of monastic education. At Kandri, one can see the 9th-century Buddhist bronze images in the Manjunatha temple. 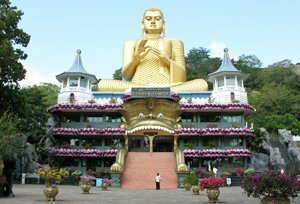 Buddhist landmarks in Karnataka are Shravanabelagola, Kadamba, Sannatiin, Belgami, Koliwada and Dambal or Dhammavolal. The two New Buddha Viharas at Gulbarga are worth mentioning. Namdroling Monastery, Bylakuppe, Manjunatha temple (Kadri), monasteries in Mundgod. Holy Trinity Church in Bangalore can accommodate more than 700 people at a time and is known as the largest "military" church in southern India. Jain Temple in Shravanabelagola has a massive black granite statue of Gomateshwara, the first Tirthankara, which stands 18 meters tall. Known as Bahubali, the state is considered as the world's largest monolithic stone statue. If one is looking forward to a state where they can fill their heart with a feeling of spiritualism then Karnataka is the right place to head to. Experience the pure soul of India by paying a visit to the spiritual centres in Karnataka.